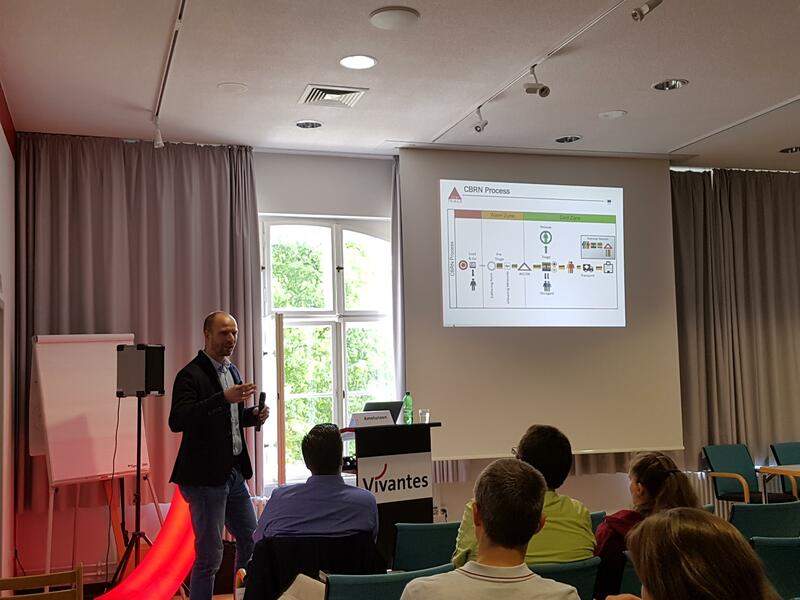 Christoph Amelunxen from the University of Paderborn presented "TOXI-triage - Introduction to an EU-Development Project" at the 1st DGKM-CBRN Forum on 5th May in Berlin, Germany. The1st DGKM-CBRN Forum focused on medical mission management and medical care in a mass casualty of CBRN-contaminated patients. The aim of this forum is to provide, via selected scientific contributions and practical demonstrations, with a platform for professional exchange and networking opportunities on the topic of CBRN-related medical protection.